Did you catch these sweet engagement pics captured by Tara Lokey Photography and featured in the latest Bridal Buzz eNewsletter? If you’re not signed up for the newsletter already, go online to sign up today! 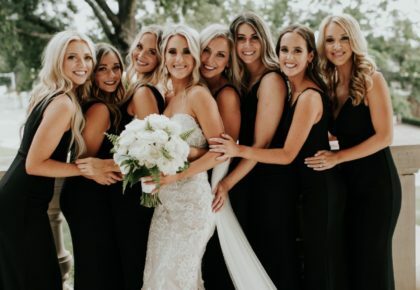 The Brides of Oklahoma eNewsletter will be delivered straight to your inbox each month with tons of inspiration! Check out Blaire and Chase’s cute story below! Blaire and Chase grew up in the same small Oklahoma town, but didn’t know each other very well. That didn’t stop his mom and her sister from persistently encouraging them to go on a date. Finally, Chase summoned the courage to call Blaire, and the rest is history! 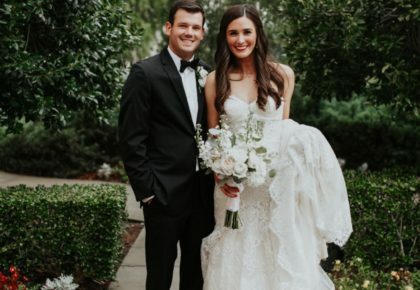 Blaire was caught completely by surprise when she walked through his front door one evening, and there he was down on one knee. “It was very simple and sweet, which is definitely representative of our relationship. It was perfect,” said Blaire. We absolutely adore Blair and Chase’s sweet sunset engagement photos. The scenery is truly beautiful, and how fun are those bales of hay?! 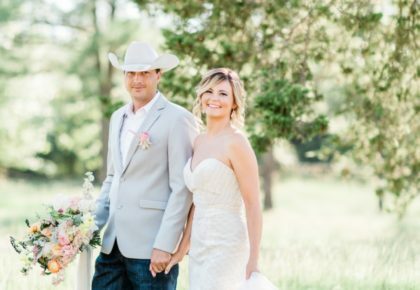 So perfect for this sweet Oklahoma couple in their wranglers and cowboy boots! Blaire and Chase can’t wait to tie the knot November 3 in Cushing. Big thanks to Tara Lokey Photography for capturing this dreamy engagement session!